So I wanted to try something new last night. 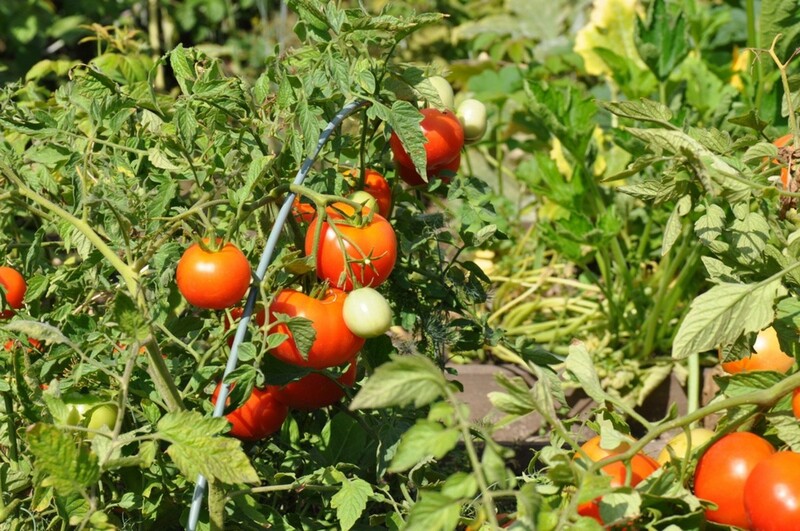 We get most of our fruits and vegetables from a local program called Bountiful Baskets. We get a whole laundry basket full of fresh fruits and veggies from local farmers for very little money (in fact, only a small "donation"). 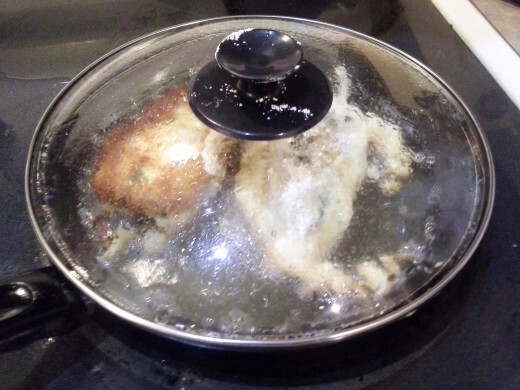 We then end up with all kinds of interesting items in our refrigerator which we use for great meals like our Easy Peasy Chicken Vegetable Stirfry. 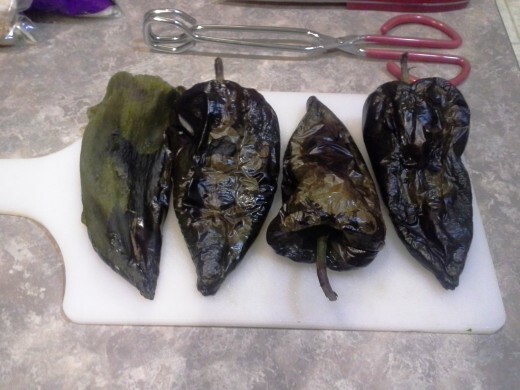 Well, one of the items we've been getting in our basket lately is huge poblano peppers, and I haven't exactly known what to do with them. 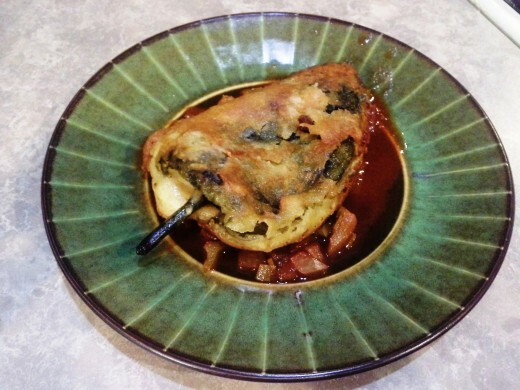 Although everyone keeps suggesting that I try out a dish called Chile Rellenos. 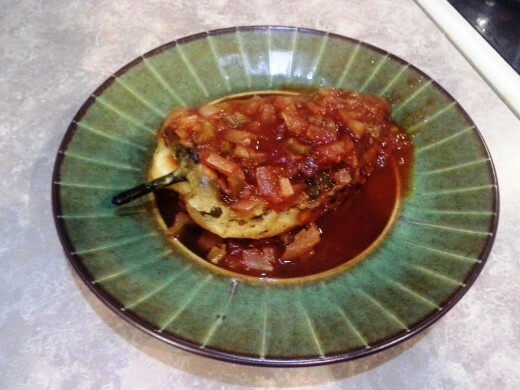 It did take more time than I'm used to devoting to dinner (notice I didn't call it Easy Peasy or Quick and Easy Chile Rellenos), but it was definitely worth it. 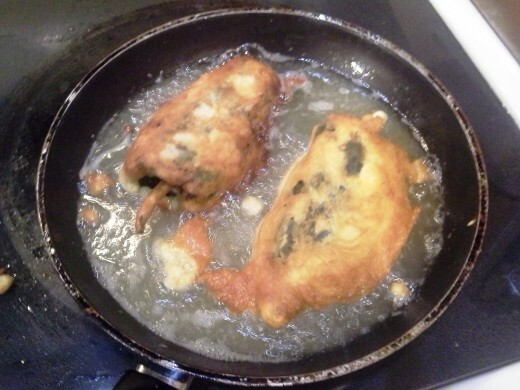 Next time, I might try to figure out how to bake them instead of frying them. Let's see how I did it this time! 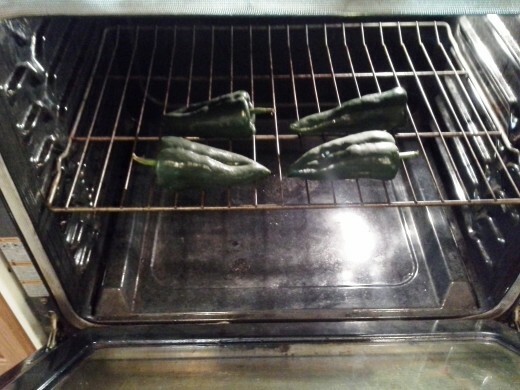 Set your oven to a low broil and lay your peppers directly onto the shelf in your oven without a cookie sheet or pan. You want to scorch the skin on each of your peppers until it turns black and blisters all the way around. 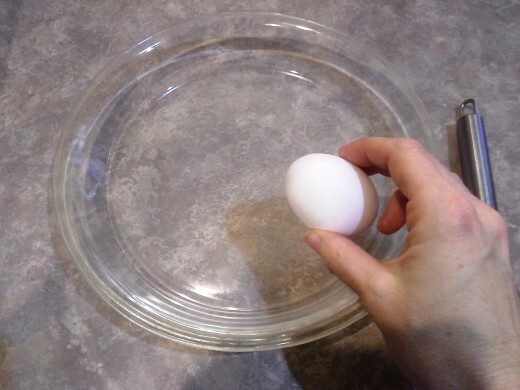 While your peppers are cooking, in a shallow pie dish, crack an egg and mix it up well. This is going to be where you batter your chiles. Next add your milk and stir. 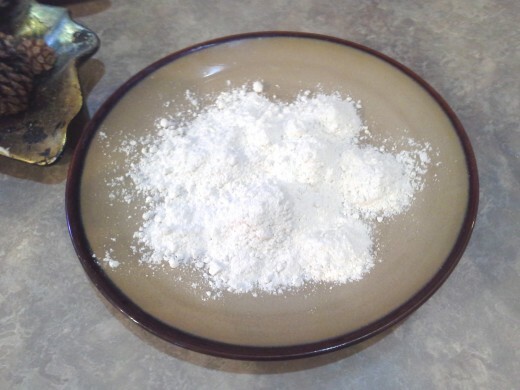 Add your flour, but be careful when mixing in, otherwise flour will go everywhere. 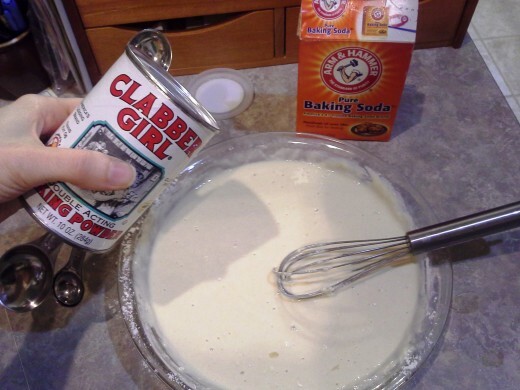 Finally, add in your baking soda and baking powder. 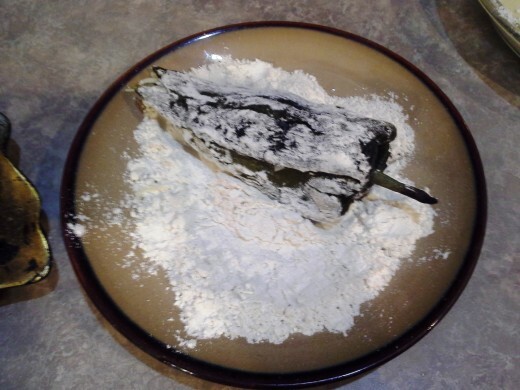 In another small plate, add your remaining 1/2 cup of flour for pre-coating your chiles before battering them. 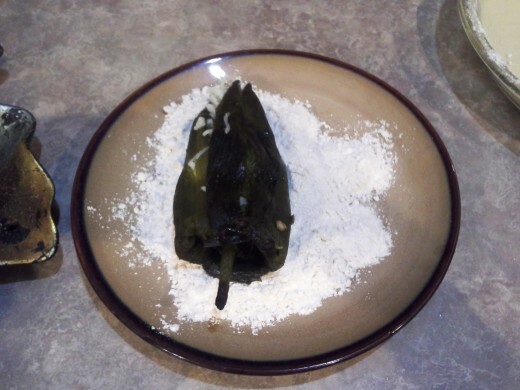 Set both your flour plate and your batter dish over by your skillet so that they are ready when you are prepared to cook your chiles. 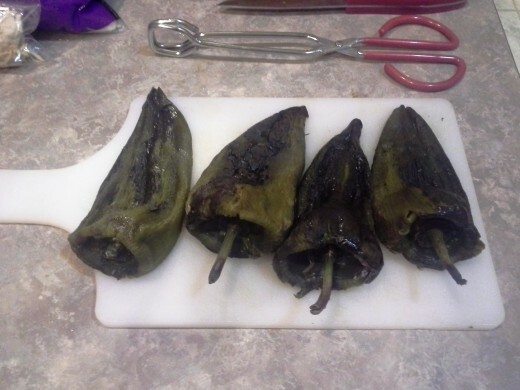 Set out your station for skinning, seeding, and stuffing your chiles. 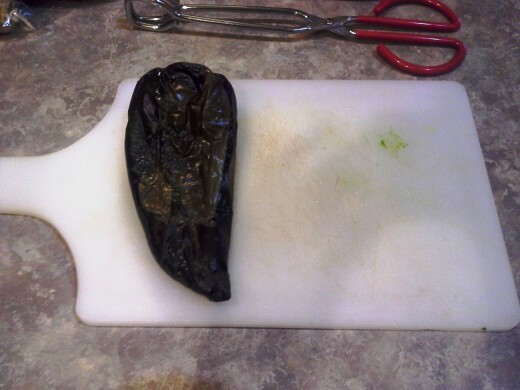 You'll need a cutting board and knife, a spoon for de-seeding your peppers, and your shredded cheese. 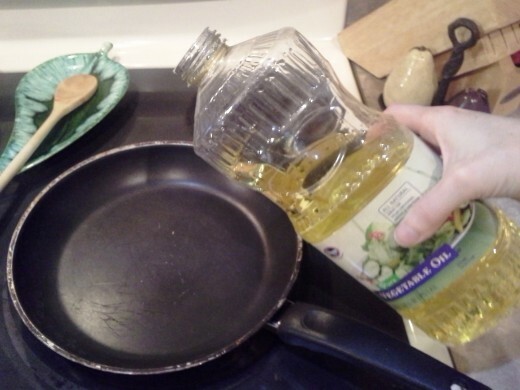 Pour one inch of oil into a skillet and heat to medium. 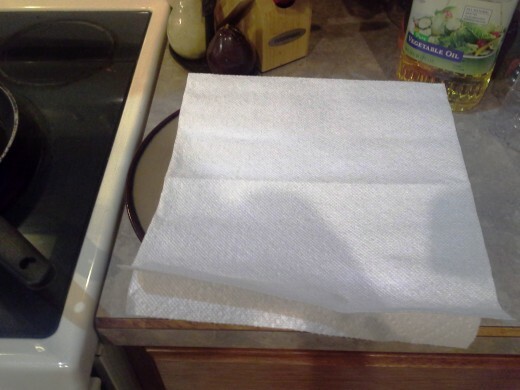 Lay a couple of paper towels on a plate on the other side of your skillet to drain and dry your peppers after frying. 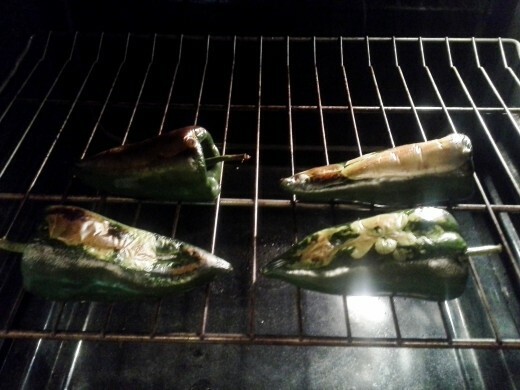 One at a time, remove your peppers from the oven and pull the skin off of them. It may not be as easy as it sounds, but just be careful and be patient. Once your peppers are skinned, use your spoon to pull the seed pockets from underneath the stem out of each of your peppers. 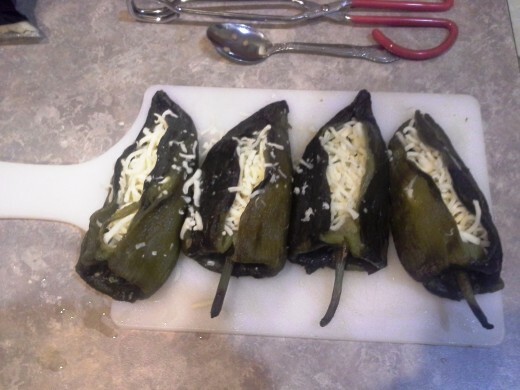 Now, one at a time, stuff each of your peppers with cheese. I used about a 1/2 of a cup of cheese for each pepper. 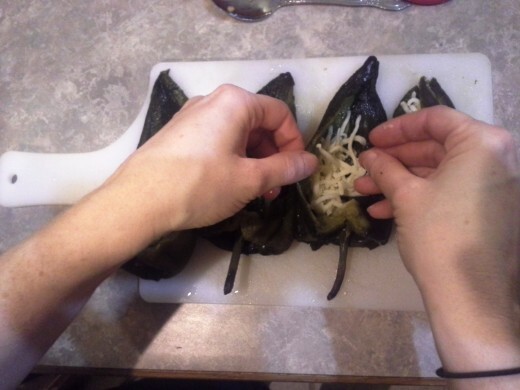 Fold over the skin of your peppers to try and hold in the cheese as best as possible. Roll each pepper in your flour, one at a time. 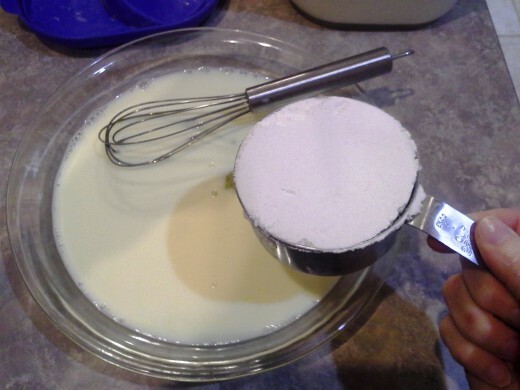 Then roll each in your batter. My pan only held two peppers at a time, so I saved the last two until the first ones were done. 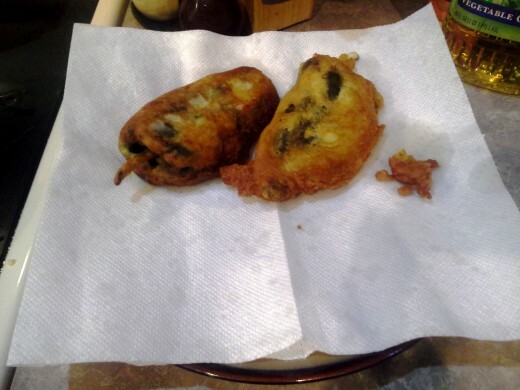 Before plopping each pepper gently into the pan, I dusted each side with flour again, to make them crispy. 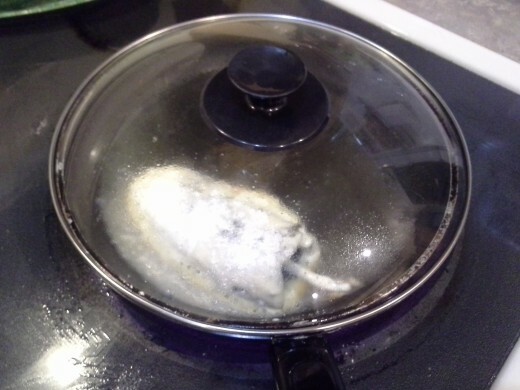 I also tried to set the open side of the pepper into the oil first to seal it shut, otherwise it starts opening on it's own and is difficult to flip when ready. 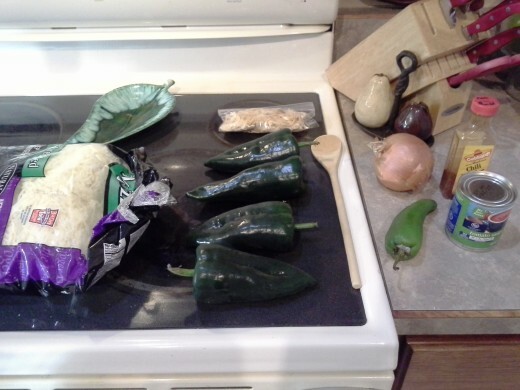 Do this with each pepper. They should only take about a minute or two on each side to completely cook. 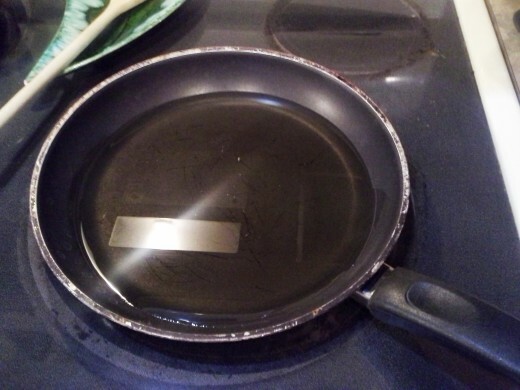 When browned and fully cooked on each side, remove them and set the on your prepared paper towel to dry and cool. 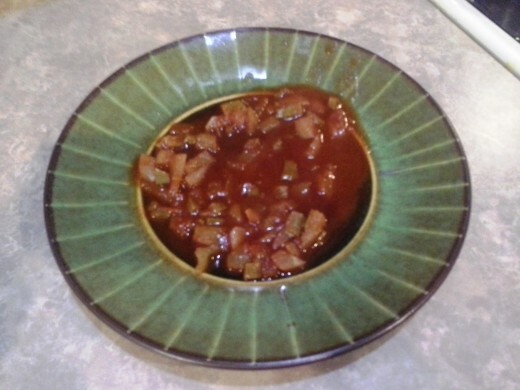 While cooking, prepare your red sauce (See my recipe for Easy Peasy Homemade Red Enchilada Sauce). 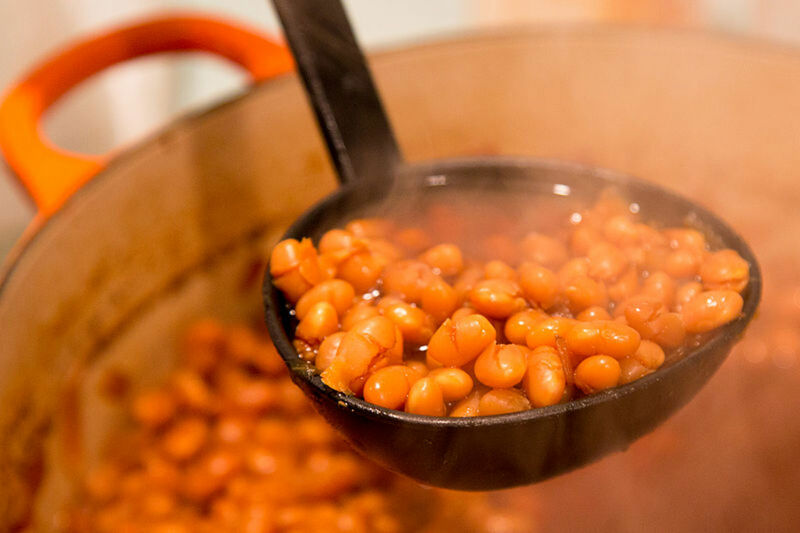 When all of your chile are ready, smear some of your red sauce on a dinner plate. 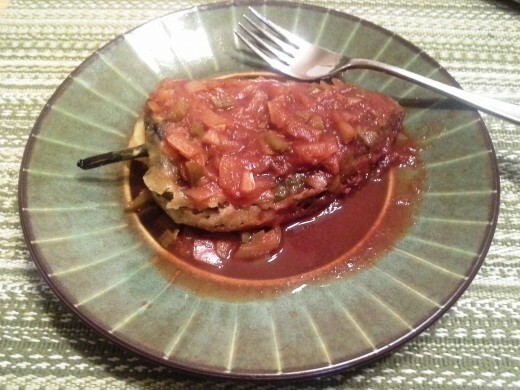 Set one of your chile rellenos on top of your red sauce and then top with more red sauce. These turned out delicious, but I do actually have a few suggestions for improving it. 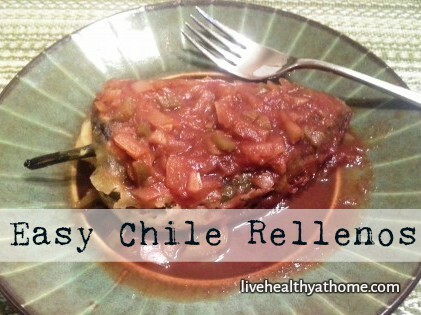 After reading through many other chile relleno recipes online, I got some really great ideas. One author suggested that the seeds might be easier to remove from the peppers if done before roasting, and would destroy the peppers less. 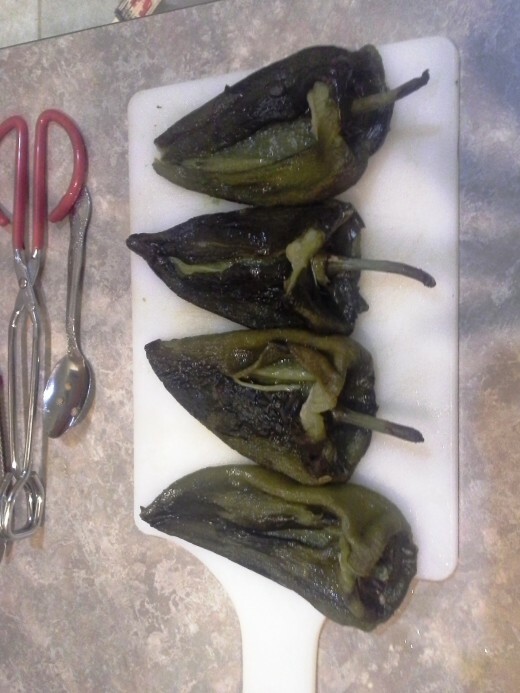 I felt like I was butchering my peppers when I did it after roasting and skinning them. 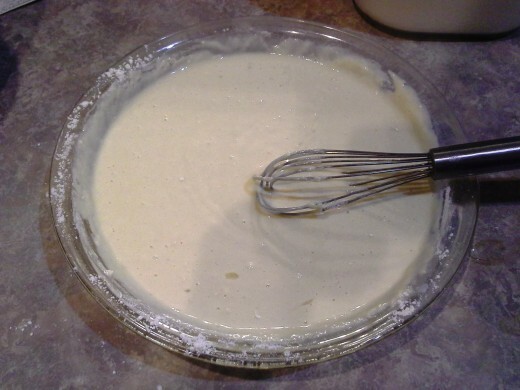 The batter also seemed really thick to me. It was nice and crunchy and tasted great, but it was pretty thick. 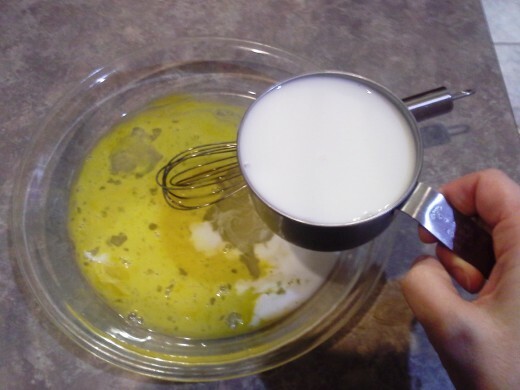 In another recipe, I noticed that the author only used eggs for their batter instead of milk, flour, baking soda, and baking powder. They separated the yolks from the whites first. Then beat the whites until they were thick and had stiff peaks. 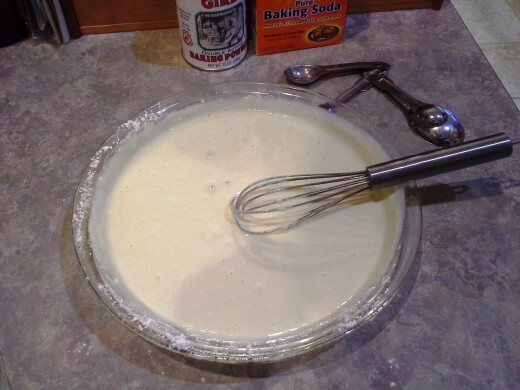 The author then folded the yolks gently back into the whites and used this for their batter. 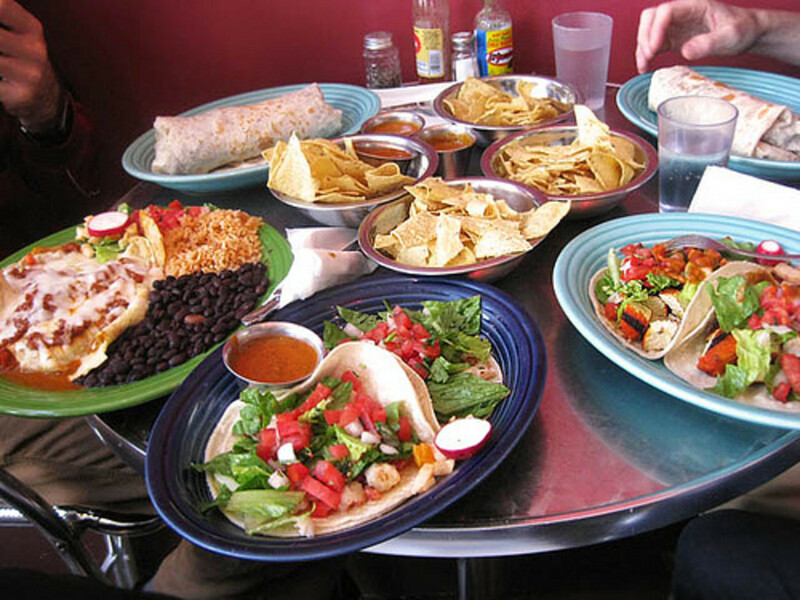 Do you think you'd be willing to give this dish a shot? Absolutely! 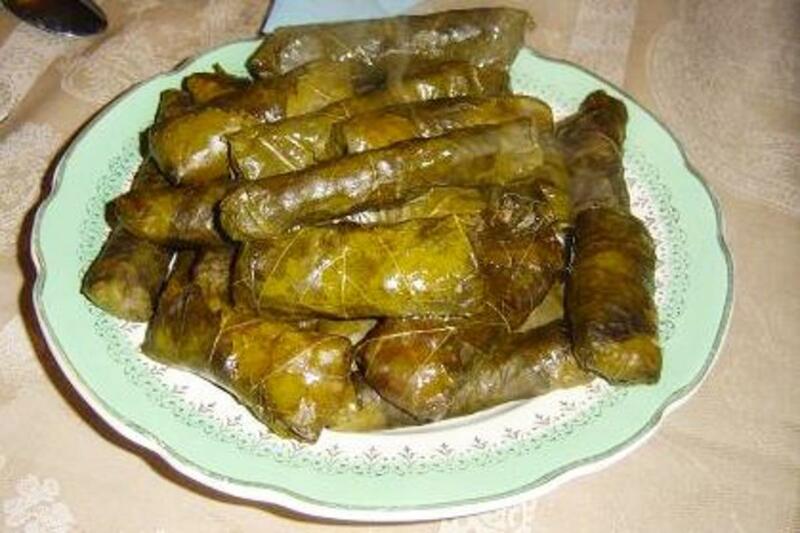 I make this dish for my family all the time. I would. 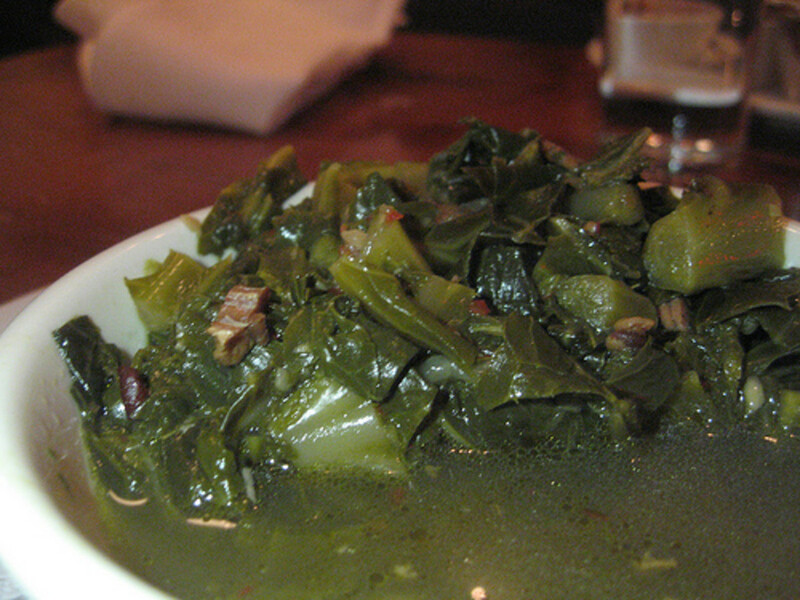 It sounds interesting and we like trying new dishes. I don't know. It sounds difficult. I don't think so, not when I can get it at my local Mexican restaurant with no effort. 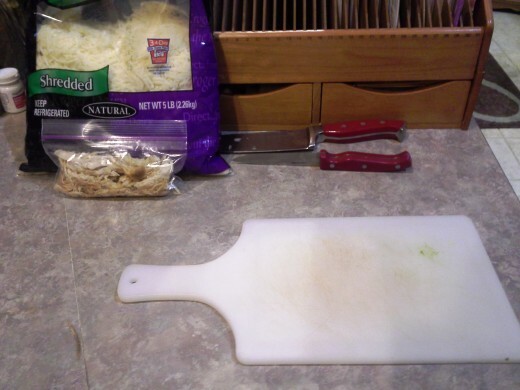 Chicken enchiladas recipe without all the hassle. Quick and easy chicken enchilada recipe you won't want to forget next time you crave mexican food! This was so delicious! 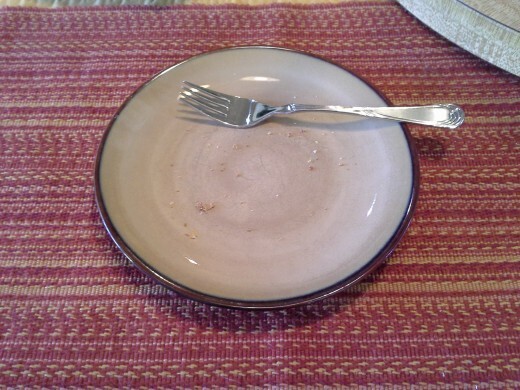 It was my very first time to make it, but it was a dish I will certainly make over and over again. :) Thank you for your wonderful comments! 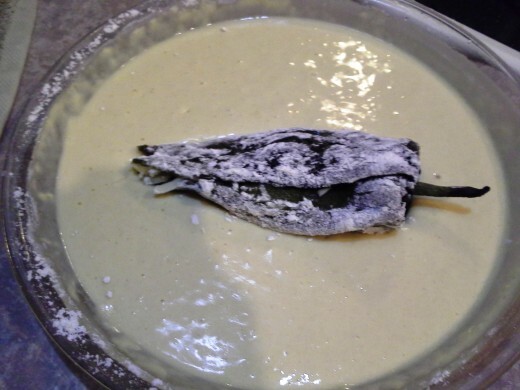 Wow... Great recipe VVanNess. Thanks for sharing. Voted up. Thanks! I'm glad you enjoyed it. :) This was a new recipe for me. Mmmmmm...I love these...thanks for the recipe! I will try them. Great photo layout! Kids, lol That would definitely be difficult with this one. Maybe he would try some of yours. There's absolutely no spice, just lots of yummy cheese. Thanks DDE and Midget! I love all of your comments. I was really shocked at how delicious this really turned out. 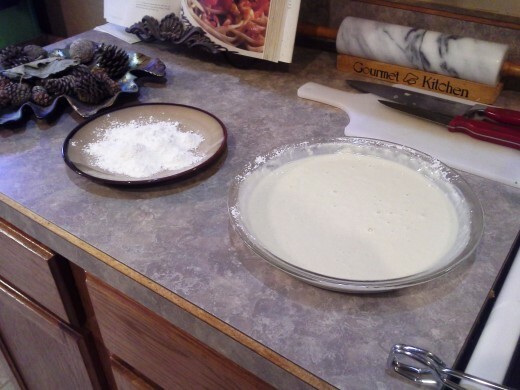 A well explained recipe with the step by step procedure the photos are helpful and sounds a great idea. Very cool story Eric! Thanks for sharing! The very cold running water over these peppers reduces their heat - spice heat so if we want them hot we just dip and clean and sit around like old ladies and do them slowly while speaking of Eric's lack of prowess and that he only has four children. 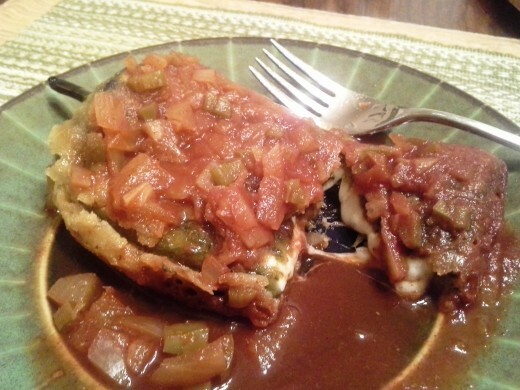 Rellenos are a social thing. Funny just like that are Grapefruit in my wife's, therefor my adopted home town of Cu Chi. 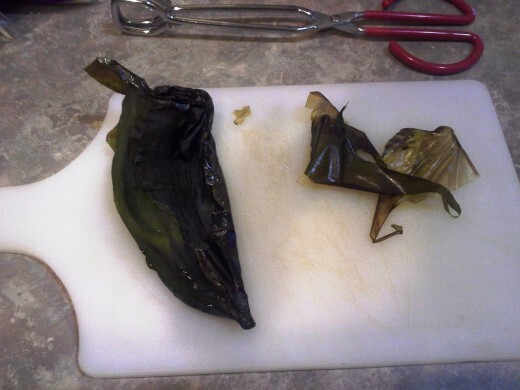 They peal them perfectly and serve up with salt and pepper. 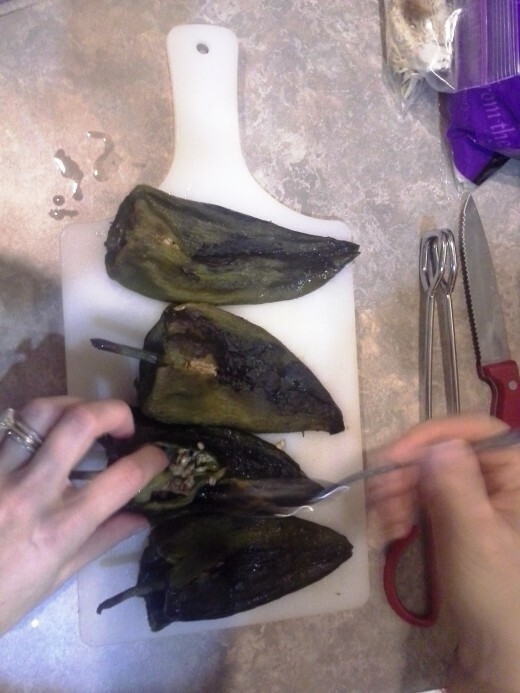 Poblano and Rellenos are a craft. thank you for a great hub that brings back family in my heart.